Three area restaurants are sending a clear message: The culinary scene in Cincinnati and northern Kentucky is one to be reckoned with. In the upcoming guidebook, Truth, Love and Clean Cutlery (TL&CC), The Farmstand Market & Café, Commonwealth Bistro and Red Feather will take their places among such titans as Alice Waters’ Chez Panisse and Dan Barber’s Blue Hill . TL&CC is a new international publication that identifies and celebrates the world's exemplary restaurants and food experiences. The restaurants are chosen for their outstanding food, quality of service, conscientious sourcing of food, and stewardship of the environment. The care for their customers, staff and community also weigh in on the vetting process. Restaurants are selected for the guidebook purely on merit and without cost to the owners. However, they have the option to become members of the international Truth, Love & Clean Cutlery Collective—with an online presence—for a nominal weekly subscription. Four different editions will be published to shine a light on the “food heroes” and their restaurants in the USA, UK, Australia and around the world. The Cincinnati and northern Kentucky restaurants are part of the USA edition. Their inclusion in the guidebook thrusts them straight onto the national forefront. When Brad Bernstein, the chef and owner of Red Feather in Oakley, was first contacted by the guidebook’s editorial team in late spring, he had no idea what it was about. “Then I googled the project and figured out what was going on,” he said. “I feel so honored to be included.” Red Feather is one of three restaurants in Ohio—and the only one from Cincinnati—that made the cut. 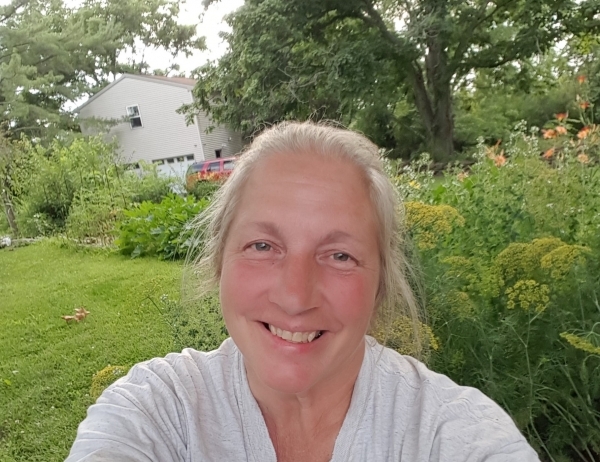 Some of her challenges stem from her unbending principle of implementing healthy-minded practices such as not serving diet cola and fried food—which have not exactly been readily embraced by the community. “All the struggles and the feeling that someone actually got what we were trying to do, that we actually had accomplished something, it brought on tears,” she said. Husband-and-wife, Chris and Tess Burns, own and operate Commonwealth Bistro in Covington, where Chris is also the chef. “We set the bar high for our standards and goals at Commonwealth, so to be included in this guidebook made us feel like our efforts are recognized,” Tess said. 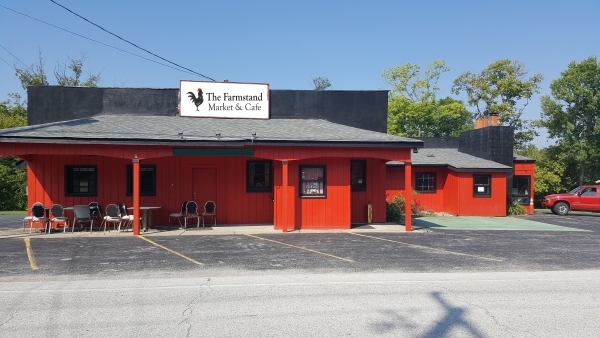 The Farmstand Market & Café and Commonwealth Bistro are two of ten restaurants from the Bluegrass State—and the only ones from northern Kentucky—that made the list. Overwhelmingly, all of the restaurant chefs and owners felt a sense of validation for their painstaking and often hidden efforts to be responsible stewards of the community and environment. Houston has a recycling program and only uses supplies that have a smaller environmental footprint. She also offers her full-time employees health insurance, paid time off and two full days off a week—an exception rather than the norm in the restaurant business. “Quality of life, for all of us, is super important,” she said. Susan Lomax, interim executive director of Source Cincinnati , an organization that advances Cincinnati stories to a national audience, sees Cincinnati emerging as one of the most exciting culinary cities in the country. “Our chefs and restaurateurs are leading the way in so many new, smart and thoughtful areas. The incredible recognition of our talent on this prestigious list of sustainability leaders begins to bust our lingering perception as an old-school meat-and-potatoes town and shine a light on the incredible food scene developing here,” she said. The guidebook will be updated every year and a portion of the sales revenue will go toward the non-profit organization, Edible Schoolyard Project , a project Waters founded in 1995 to cultivate in children, the principles of nourishment, stewardship and community.